I have created critical thinking assessment tools focused on both the tutor and the student. The assessment tools consist of a rubric to help the tutor measure the students' critical thinking progress and an evaluation form given to the student to evaluate the overall tutoring session. The rubric will be used to measure students' level of questioning and problem-solving skills in addition to Intellectual Autonomy (thinking independently) and Intellectual Perseverance (working through difficult problems). A survey is also given to the student at the end of the semester, allowing them to measure the extent to which the tutor encouraged them to think for themselves, to stay motivated, and to gather important information. Through the use of the rubric, the tutors will have developed and enhanced their own ability to foster critical thinking in others. 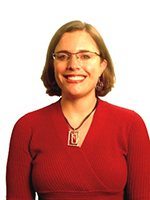 By designing a rubric tool that gauges the progressive growth of a student's ability to demonstrate the Intellectual Traits of Intellectual Autonomy and Intellectual Perseverance, Julie has incorporated key aspects of the Paul-Elder framework for critical thinking into her work with students receiving academic tutoring.